ECO 1 is an 11 Metre RIB Tour vessel powered by 3x300HP High Performance Outboard Engines. Getting there has never been more FUN!!! Imagine riding the back of the breakers along the beautiful Eurobodalla coastline on an Exhilarating High Speed Adventure! Tight turns and figure eights are exhilarating its the most fun way to explore the coast. See Seals, Dolphins, Seabirds & Flying fish and cruise the beautiful bays of Montague Island up close and personal from the comfort of the boat! 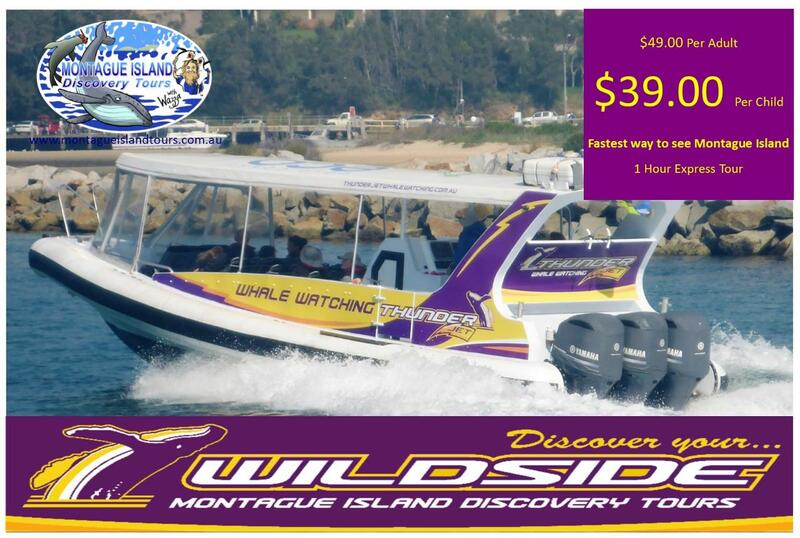 1 Hour Express Montague Island Adventure!